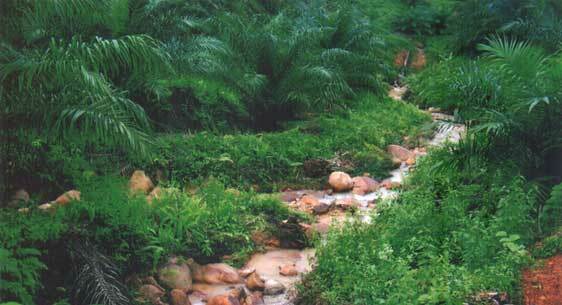 The subject property is a CL-titled oil palm estate located about 50 km south of Keningau town. The access road off the main Keningau-Sook highway is gravelled surface and fairly well maintained except for a few patches. There is an oil mill within 13 km. View of the subject property's hills. The terrain is hilly in nature with hillocks ranging from 600 to 680 metres above sea level. 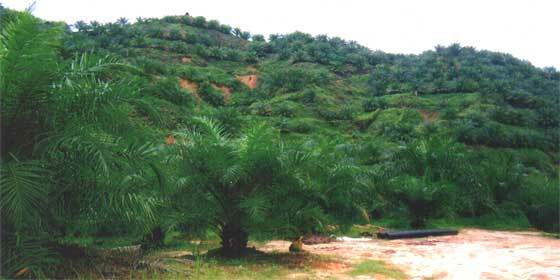 Currently only about 75% of the land is planted with oil palm. The balance of the area is in the process of being cleared for planting. Even though Keningau is known to be drier than the costal region of Sabah, this oil palm estate seems to have adequate rainfall around 2200-2500 mm per year. Another view showing the river just after a short shower. 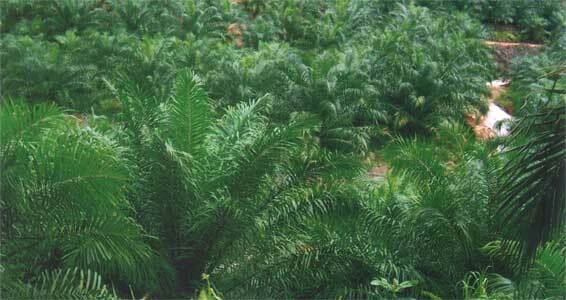 The oil palm seedlings are from Felda DxP. The soil are a mixture of sand stone and granitic parent material.